The FDIC once again did its Friday Night below-the-radar exercise; shutting down insolvent banks while Americans and their news media were in low gear or distracted. This time, five more banks were shuttered, while the U.S. media overdosed on coverage of the wedding of the daughter of former president Bill Clinton. With the FDIC closing of 5 banks in Oregon, Washington, Florida and Georgia, the total for the first 7 months of 2010 stands at 108 failed institutions. This compares with a mere 69 at the same point last year. And 2009 was supposedly one of the worst years ever for bank closings in the United States since the Great Depression of the 1930s. Despite claims by U.S. economic policymakers that the American banking crisis was “cured” by the U.S. Treasury and Federal Reserve bailouts of the nation’s financial industry, there is no doubt that FDIC bank closings will set a record in 2010, eclipsing the already dismal figures for 2009. 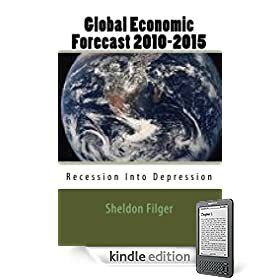 In my book, “Global Economic Forecast 2010-2015: Recession Into Depression,” I project a severe deterioration in the U.S. banking sector during the latter part of 2011. The accelerating pace of FDIC bank closings, combined with the continuing global economic crisis and indications of a double dip recession, would seem to provide growing validation of my prediction. The U.S. Commerce Department released figures for housing starts for May 2010, and they were far worse than projected by economists. They plunged 10%, representing a seasonally adjusted annual rate of 593,000 housing starts, versus 659,000 for April. The decline in single family dwelling starts was 17%, the worst contraction since 1991. The minor uplift in housing starts over the past several months was due entirely to government funded tax credits, paid for with borrowed money. With these short-term gimmicks now being phased out, the organic weakness in the American housing market can no longer be obscured. 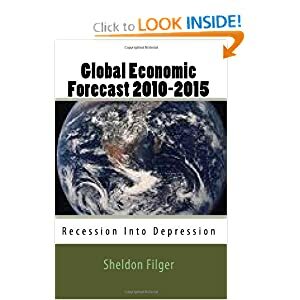 It must be recalled that the trigger for the current global economic crisis was the collapse of the sub-prime residential housing market in the United States. With worsening public deficits forcing governments to phase out artificial props for a fractured housing industry, we are now seeing adjustable rate, near prime and prime mortgages going into default, not only in the U.S. but throughout the world. This will all serve to undermine what has thus far passed for an anaemic recovery from the worst economic downturn since the Great Depression of the 1930s. At a recent private dinner held at Columbia University, two of the most high profile players on the global financial scene expressed opinions that are certain to arouse the most spine-tingling of chills. Currency speculator and billionaire investor George Soros said to his no doubt discomforted dinner colleagues that the world financial system has, in effect, “disintegrated.” He went on to relay his view that the resulting financial and economic turbulence was more severe than the levels experienced during the Great Depression. 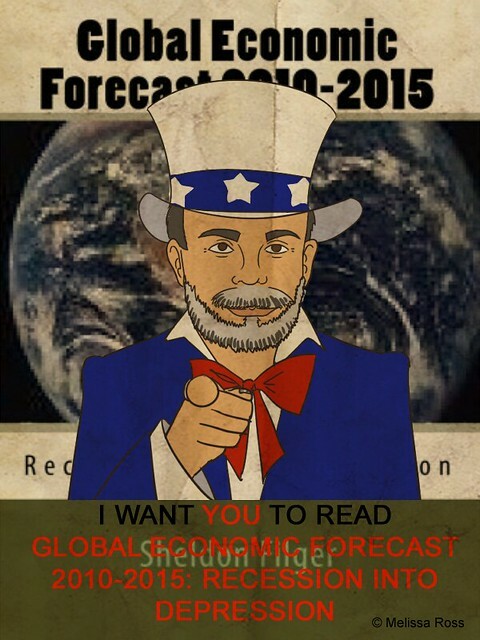 When men as astute and intimately connected to global finance as Paul Volcker and George Soros are openly talking about the Global Economic Crisis as being “worse than the Great Depression” and having brought about the “disintegration” of the global financial architecture, it is clear that the most dire forecasts for the global economy can no longer be treated as uninformed hyperbole. The most knowledgeable and well-connected financiers on the planet are already preaching the gospel of economic and financial Armageddon. How should we interpret the musings of Soros and Volcker? In my view, we ignore their informed observations at our peril. Their stated views are not uninformed speculation, but rather a reflection from those in the eye of the storm of this global economic tsunami. Furthermore, despite continued happy talk from the inept political actors across the globe, those who inhabit the rarefied world of high finance, observing the Global Economic Crisis unfold from the pinnacle of power, do not harbor in the least a hint of optimism-or illusion.